Nestled between the Grande Dunes two golf courses, Palermo is one of the most desired neighborhoods of the many extraordinary Grande Dunes subdivisions. The gated community is bordered by picturesque marshes, ponds, wetlands, lakes, fairways, and greens. Established around 2007, there are some elegant, already-built mansions, as well as new homes presently under construction - or purchase a lot on which to build your dream home. Read more about Palermo real estate. Lots are large, with many as big as a half-acre or more, and they offer pastoral views of the golf course greens. New home prices start around $600,000 to well over a million for the older lavish estates. Most of the homes here feature a Mediterranean architectural design and offer things like gourmet kitchens, trey ceilings, stunning outdoor entertainment areas with outdoor cooking facilities. With private pools and elaborate professional landscaping, your Palermo home will be the center of get-togethers with friends and family. 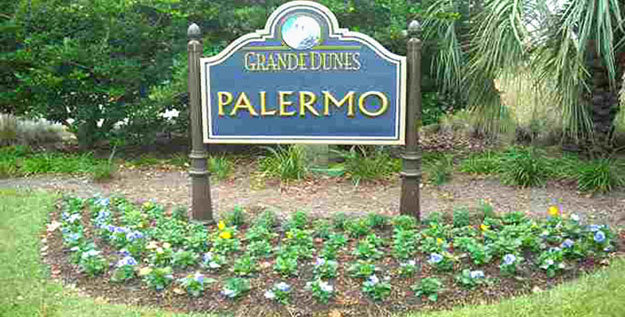 The incredible Grande Dunes amenities are available to Palermo residents. The Ocean Club offers a spectacular clubhouse with private beach access, a beautiful oceanfront pool, kiddie pool, showers, lockers, lounge, dining with a panoramic view, and much more. There are other Grande Dunes pools, a tennis center, a marina, and golf memberships available as well. 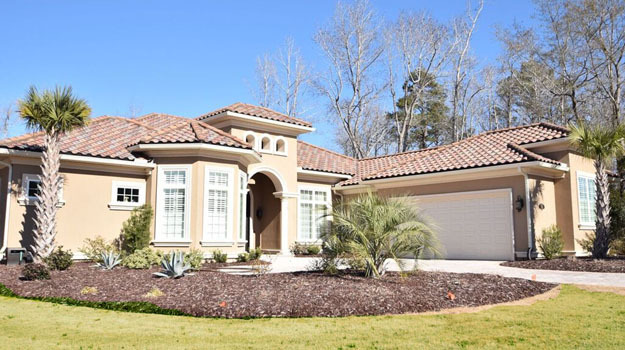 To learn more about living the good life in Palermo or any of the extraordinary Grande Dunes communities, call our Myrtle Beach real estate expert, Greg Harrelson at (843) 536-8383 to schedule a tour.